Q How can AIM BarleyLife® Xtra contain so little sugar and yet taste so sweet? How much sugar is in AIM BarleyLife® Xtra and should this be a concern? Where does the sugar in AIM BarleyLife® Xtra come from? Why is the vitamin C content so much higher than the new harvest AIM BarleyLife®? A Barley juice has an inherently bitter taste that many AIM BarleyLife® users consider a challenge to overcome. After a year of development and over 100 samples, we have finally discovered a natural sweetener that compliments the taste of bitter barley juice. We identify this as Lo Han on our label, which is a shortened version of the common name of the fruit Lo Han Kuo. Lo Han is a member of the cucumber and melon family, and its scientific name is Siratia grosvenorii. This fruit grows on vines in a remote mountainous area of southern China. It has been used for centuries throughout China as a natural sweetener. Triterpene glycosides, or more specifically mogrosides, are the component of Lo Han that provides the sweetness. When extracted with water and dried, mogrosides are over 300 times sweeter than sucrose! This concentrated sweetness allows us to minimize the amount of natural flavoring added and maximize the nutrients from the barley juice, fruits and vegetables. Our digestive system is unable to metabolize mogrosides, and thus they are considered non-caloric as well as low-glycemic. The average American consumes 64 pounds of refined sugar per year. This equates to about 80 grams or about 20 teaspoons (1,280 calories) of sugar per day. The USDA recommends that an adult consuming 2,000 calories daily should consume less than half of the current average, or 40 grams (10 teaspoons). 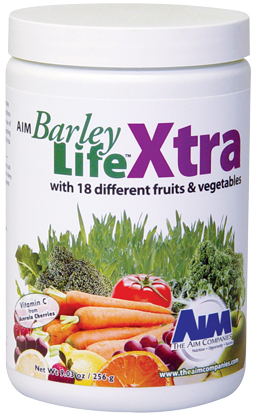 AIM BarleyLife® Xtra contains 1.5 grams of natural sugar per serving or about 3 grams per day (2 daily servings). This equates to about 4% of the average and 8% of the maximum recommended daily sugar intake, whereas one soft drink supplies about 50% of the average and 100% of the recommended intake. 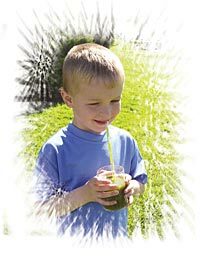 The 1.5 grams of sugar reported in one serving of AIM BarleyLife® Xtra come from the naturally occurring sugars found in barley grass juice, and the other fruits and vegetables in the formula. These sugars include glucose, fructose and maltose. No other processed sugars (sucrose) or dairy sugars (lactose) are added. Barley grass juice does not contain a significant quantity of vitamin C. Some other green powders add synthetically manufactured ascorbic acid to their powders without disclosing it to slow the oxidation and boost their label claim. AIM chose to add natural acerola cherry powder to its formula to increase the vitamin C content of AIM BarleyLife® Xtra. Acerola cherries have about 30 times the vitamin C content of oranges. 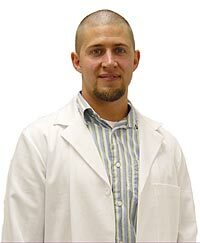 Ryan Davis has a Bachelor’s of Science in biology and has been certified by the National Nutritional Foods Association. He is AIM’s quality assurance manager and has been with the company since 1999. In addition to quality, he works on the development of new AIM products. Watch for Ryan’s upcoming AIM teleclasses on new products.